If you have any questions or want to enquire about dates, use our form to contact Ascanio Balbo or see their website for more information. Cross the Tiber into maze-like Trastevere. Turn right for boisterous bars, left for cobblestoned tranquillity. Here lies a place that is small and special – an artistic find behind solid green doors. Fashion and textiles designer Luisa has transformed her studio and home into a vibrant B&B, and lives there with her son Ascanio – both are as welcoming as can be. Built around a beautiful sun-dappled courtyard, the house is a showcase for her creations. 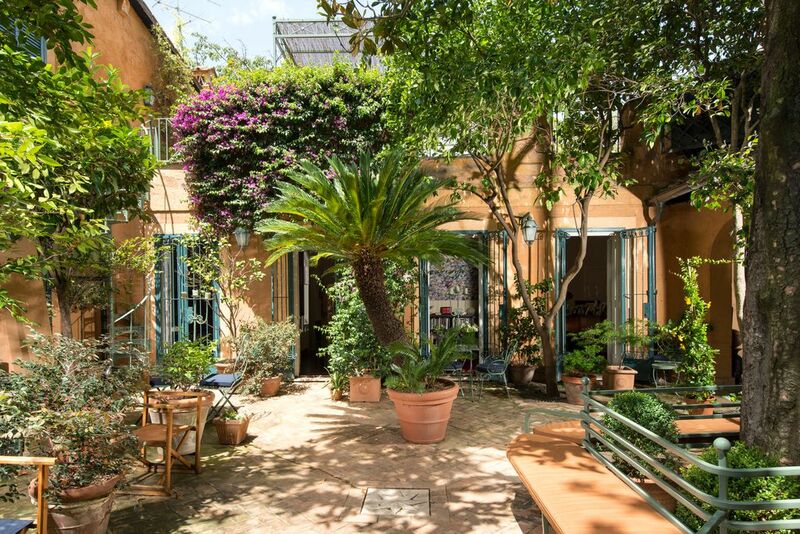 Two bedrooms, Tinto and Chocolate, are on the ground floor opening to the courtyard (orange trees and magnolias, a marvel in spring) while the Rome room has above its own big terrace, heaven for honeymooners. Walls are clean and minimalist, bathrooms mosaic’d and sparkling; splashes of colour come from hand-painted organza. Yours to retire to – a winter treat – is a salon with stylish settees and books on art and Rome. Charming staff, friendly and discreet, serve breakfast at an oval dining table surrounded by silk panels: fresh fruits, breads, meats, eggs how you like them, lavender shortbread, baked peaches; a wonder. All this in Rome’s old heart – and Luisa’s lovable dog, Noa. 7 January - 7 March. 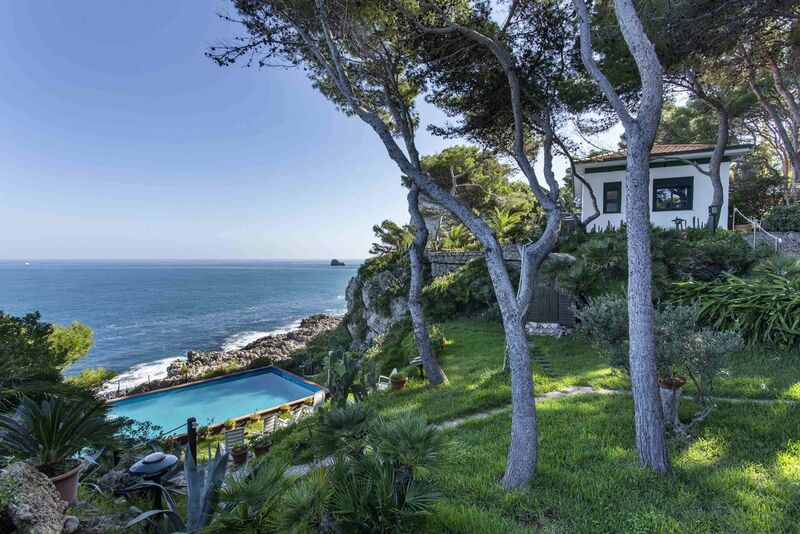 This is a beautiful guest house and the studio of artist Luisa Longo, beautifully appointed, comfortable and friendly, with service second to none. Situated in a lively neighbourhood, with many restaurants, there is a tram stop close by for a five-minute ride into the centre (Piazza Venezia), or a ten-minute walk to the Vatican. My wife and I could not have wished for more. Try out hot breakfast, homemade cakes and pastries!